Stroud in Bloom achieved gold status in the 2015 national competition — Heart of England in Bloom. 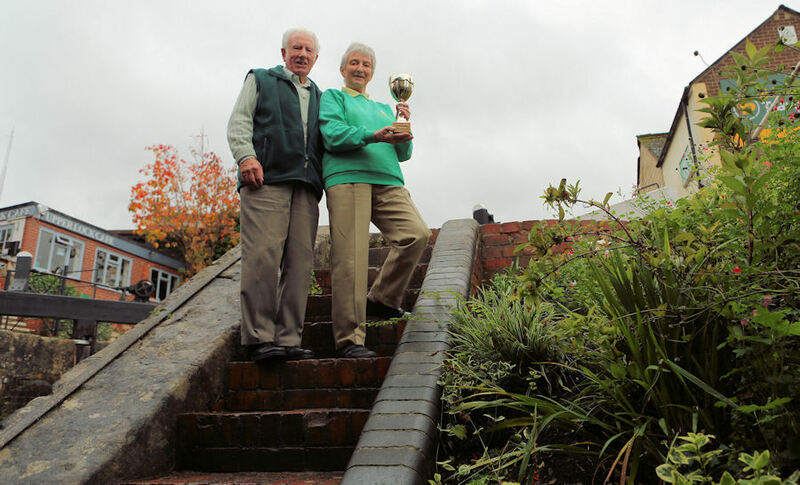 Cotswold Canals Trust volunteers Betty & John Shadbolt played their part in that achievement and received a cup at the recent Stroud in Bloom Awards Ceremony. 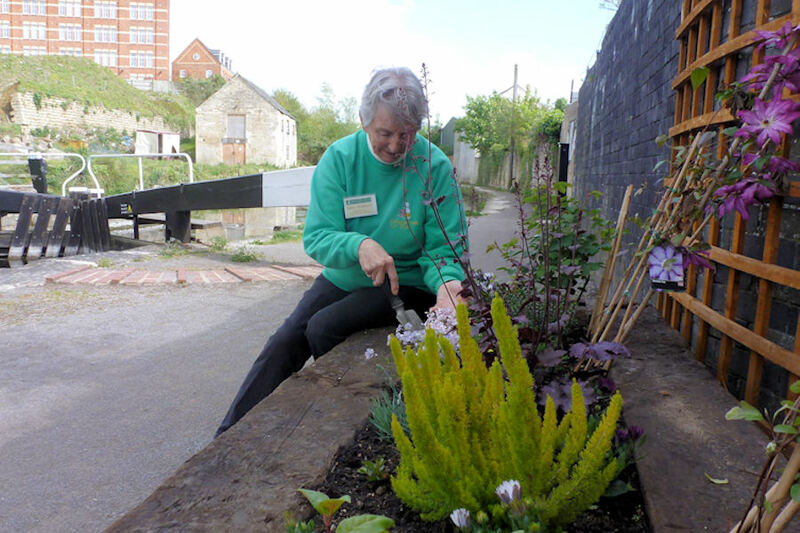 Stroud in Bloom has twenty-nine 'Adopt a Plot’ sites throughout Stroud. The title describes areas maintained entirely by volunteers who choose to plant, maintain and enhance an area or location. This description applies so well to Betty and John Shadbolt's lockside garden. Betty and John moved to the Cotswolds from Devon over five years ago. This coincided with the early stages of the development of the CCT Visitor Centre at Wallbridge Lock. Betty became a Visitor Centre Volunteer. Her craft work is often on sale at the Centre. Look out for Betty’s signature ‘knitted woolly sheep' greeting cards. John and Betty soon added regular early morning lockside gardening to their timetable. Betty smiles her appreciation of such positive feedback, “John and I enjoy gardening anyway, so what we do down here gives us great pleasure. "It is lovely when towpath users express their appreciation for what we do. "Stroud is such a lovely place with so many kind people. One of those kind Stroud people donated railway sleepers to build thetowpathplanters andpaid for the flowers and bulbs.